Built To Optimize can help you strategize, establish, and maintain your Social Media Marketing goals for your small business in North New Jersey. Set yourself apart from your competitors through Facebook, YouTube, Google+, Twitter, and many other online social channels. Social Media Marketing is now a central focus of some of the biggest brands in the world and their marketing strategy. Social Media gives you a chance to show who you are to your customers and clients. Use the opportunity to gain loyalty and build your brand. What Built To Optimize Can Do For You. Development of Social Media Plans & Best Social Channel to Integrate with Marketing Goals & Clients; including Facebook, Twitter, YouTube, Google+, Instagram, LinkedIn, & more. 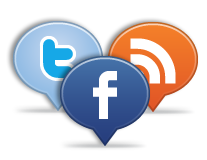 Creating Stronger Relationship with Current & Potential Clients with Social Media Management. For a monthly fee, Built To Optimize can curate and manage your social media marketing. Full Consultation & Training Session to help In-House Social Media Marketing strategies. For a one-time fee we train your team with the best social media strategies for marketing goals. Who is better to talk about what your business does than you? Take to the social scene with simple solutions through Built To Optimize. We will be able to help you grow your loyalty with customers and help them see the value in doing business with you.